For P&G, investing in English is a business strategy. With global operations in more than 70 countries — and brands being distributed in more than 180 — seamless communication with colleagues is imperative at P&G. Having a common platform on which to communicate is critical, and that platform is English. 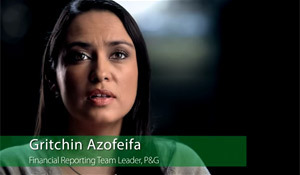 P&G Costa Rica hires the person, not the position. If HR identifies a candidate as having the necessary technical skills but he or she lacks English skills, P&G will invest in English training through formal assessment and training. P&G also provides a supportive environment for employees to improve their English skills together. Investing in employees’ English skills helps P&G develop the best talent, build future leadership and drive company results. Sign up for TOEIC Test now!